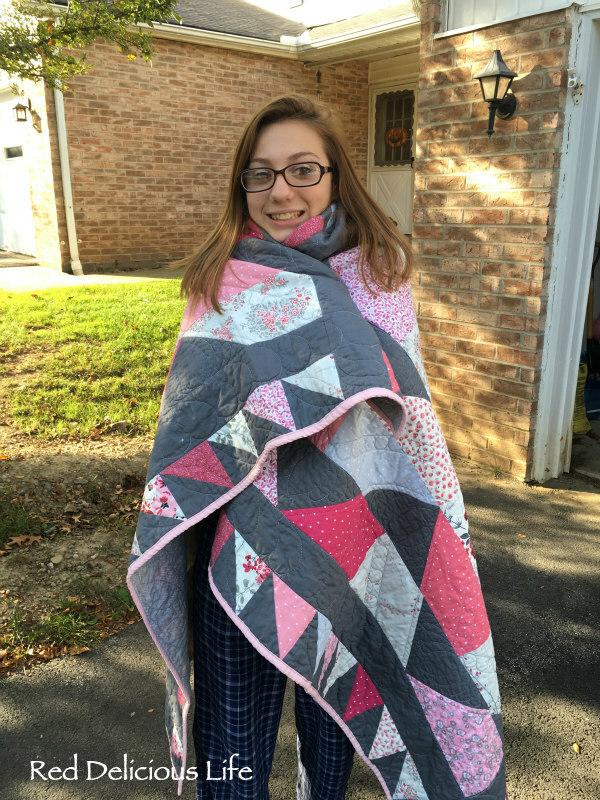 I was so excited when I finished up my Pocketful of Posies quilt for my niece, but not nearly as excited when I got the photos of her opening her gift and snuggling with her new quilt. I can't begin to tell you how happy my heart is today. That is so perfect! Yay!!! That is the best knowing it is going to be loved. Wow Diana, it looks even better wrapped around a girl in the sunlight!